Australia’s small businesses can unlock the potential of technology to revolutionise their business and extend their reach. When small businesses are digitally engaged, they are 50 per cent more likely to be growing revenue, eight times more likely to be creating jobs, seven times more likely to be exporting, and 14 times more likely to be innovating new products or services 1. 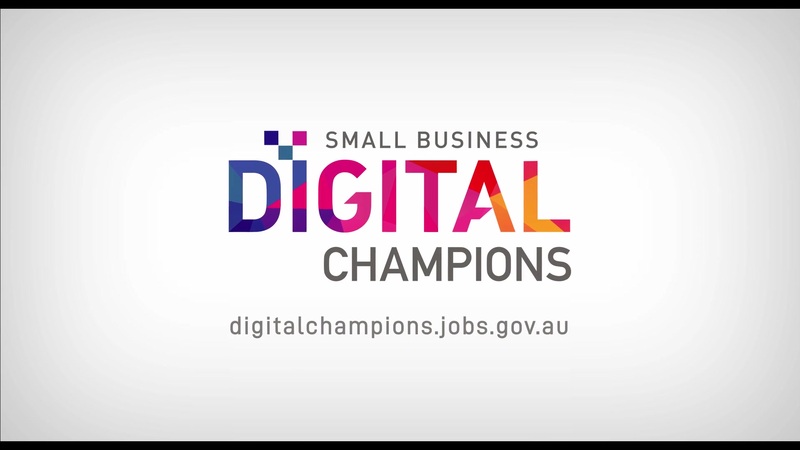 The Small Business Digital Champions Project will provide 100 Australian small businesses with a comprehensive digital transformation for their business valued up to $20,000 in digital products and services. The digital transformation is being supported by products and services provided by our Corporate Partners. 15 of the 100 businesses have been selected to become Digital Champions. Each Digital Champion will be paired with a Digital Mentor who is a high-profile business leader and has leveraged technology for their business' success. These innovators will provide personalised mentoring and guide the Digital Champions on their digital transformation journey. The journeys of the Digital Champions will be featured in online, interactive case studies that will provide the small business community with real-life insights into the business benefits of adopting digital technology. Meet the Digital Champions and their mentors. You are still able to access other Government small business digital support services through the Australian Small Business Advisory Services (ASBAS) Digital Solutions and the Cyber Security Small Business Grants Program. The involvement from private sector organisations is an inspiration to the Australian small business community on how to go digital and is helping the Australian economy increase its productivity through adopting digital technologies. 1 Research from Deloitte’s Connected Small Businesses 2017 report.